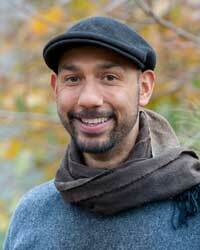 Melvin L. Escobar, LCSW, RYT, is a registered yoga teacher and licensed psychotherapist. Melvin took his first Yoga class in 2001 and discovered it to be an ideal complement to his practice. Melvin received his yoga teacher training through the Integral Health Fellowship at Niroga Institute. Melvin has studied insight meditation with Larry Yang and Spring Washam since 2008 and is a graduate of EBMC's Commit2Dharma program. He continues daily to learn the ways in which body-centered contemplative practices create revolutionary personal and social healing.